If you need a commercial floor cleaning machines you have come to the right place! Our industrial floor cleaning machines clean and polish floors quickly and effectively in different spaces and on different floor types. From floor polishers, floor scrubber, dryers, floor buffers, floor polishing machines and stripping machines, whatever type of cleaning appliance you need for your floor, you will find it here online! You can also rest assured when buying floor cleaning equipment from us, as we only stock reputable brands such as Numatic and Karcher that are known and trusted in the market. A Bit Confused About Industrial Floor Cleaning Machines? For help and guidance selecting the right commercial floor machine contact us at hello@pattersons.co.uk or call 0117 934 1270 for impartial advise. With so many cleaning appliances available choosing the right one for your floor can be an issue! But not when you deal with pattersons Cleaning Equipment - our job is to help you make the right choice for both you and your floor! Pattersons Cleaning Equipment also stock a huge range of commercial vacuum cleaners, please click here to view the whole range or find out more about the cleaning chemicals we stock from leading brands like Jangro that help you get the most out of your new cleaning appliance! Numatic Twintec Mains Floor Machine TTQ1535S. Numatic Twintec Mains Floor Machine TT4045. Numatic Twintec Battery Floormachine TTB4045. 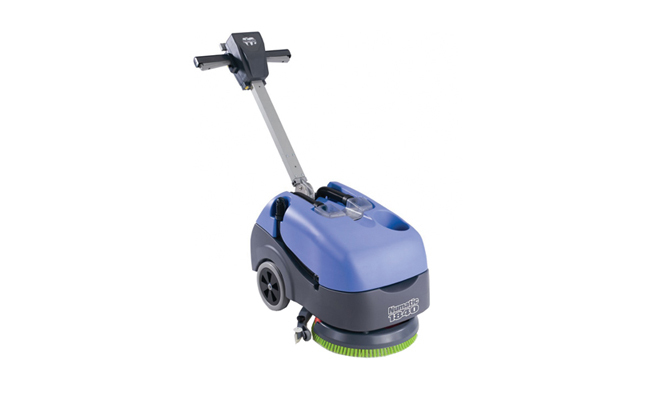 Numatic Twintec Mains Floor Cleaner TT-6650S. Truvox Orbis Rotary Scrubbing Machine. Truvox Orbis 400 Rotary Floor Machine. Truvox Orbis Duo Scrubber Polisher Floor Machine. Truvox Hydromist Compact Spray Extraction Machine. Numatic LoLine Rotary Machine NLL332.